The trial of the ousted Egyptian President Hosni Mubarak has been postponed until September 5 at the Monday hearings in court. The trial session provoked clashes between supporters and opponents of the former Egypt’s leader in Cairo. Mubarak will be trialed off-air next time, the judge claimed, news which comes contrary to promises to the protesters, who were expecting an open and public hearings on the case. 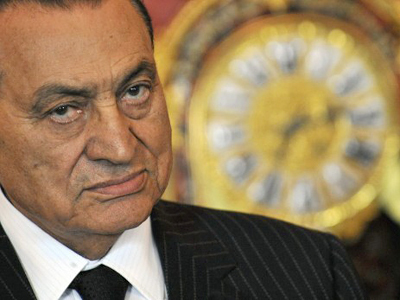 A helicopter has delivered Mubarak to the Cairo Police Academy where the hearing was taking place. He was then wheeled into the metal cage for defendants on a bed, his two sons by his side. The hearing didn't last long, with Mubarak's lawyer asking for it to be postponed to have some time to review the new documents he requested. The court is now in recess for deliberation. Several hours before Mubarak’s arrival, his supporters clashed with the relatives of some of the deceased demonstrators, forcing army and police to intervene. Al Jazeera TV channel also reported that their crew was attacked by the ex-president’s followers, who were throwing rocks at their car. The former head of the state faces charges of ordering the killing of peaceful protesters during last February’s uprising in the country, as well as of corruption. Two of the 83-year-old’s sons – Ala'a and Jamal – are accused of corruption. 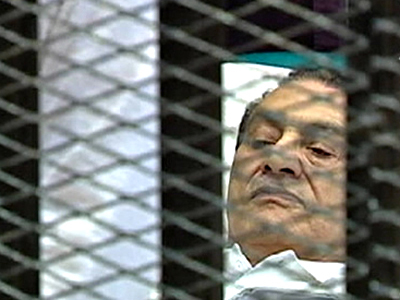 At the first session on August 3, Mubarak, who suffers from heart problems, denied all the charges. 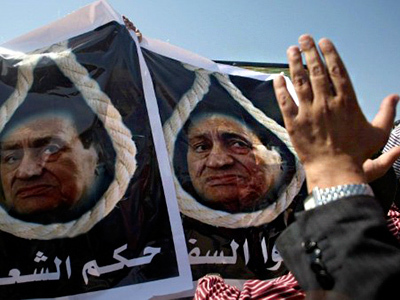 Asia Times Correspondent Pepe Escobar explains what the crucial points behind Mubarak’s trial are. However, because the trial has been adjourned to September, no significant changes should be expected within the next three weeks. 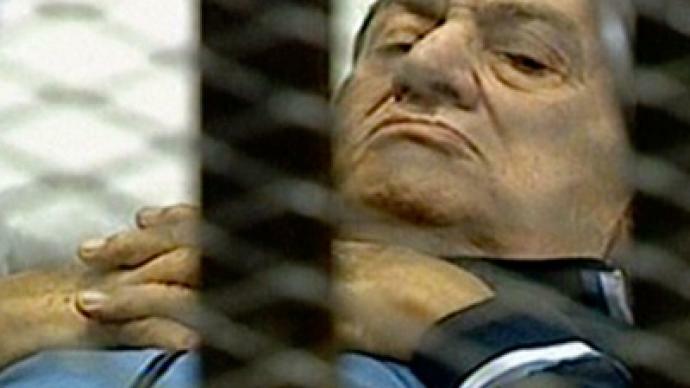 “It’s too early to say, but… the fact that Mubarak is in the cage and he is being on trial – this could be the beginning of a new Middle East,” Pepe Escobar concluded. ­Speaking from Cairo, Dr. Jamal Sultan, director of the Al-Ahram Center of Political and Strategic Studies, says the judge has banned the trial's broadcast because he does not want to see ugly scenes during the hearing. 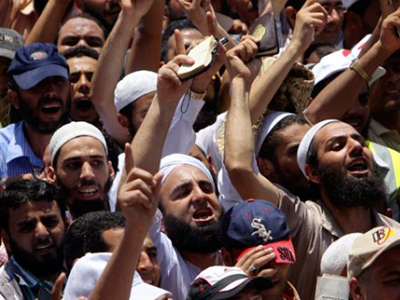 Egypt will confront a new political reality after the elections in September, observes Dr. Sultan, as some Islamic forces which have never been in politics before are weighing their chances to enter politics. “I am not talking of the Muslim Brotherhood, but rather of the Salafi Movement, which has turned out to be quite conservative, radical and somewhat violent. Now they are working closely at grass-roots level and this concerns Egypt and definitely the West,” he said.